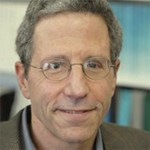 "I recently received the Nobel Prize, but it was the work for which the prize was awarded, not the prize itself, that was the real achievement"
Professor Maskin is the Editor-in-Chief of Economics Letters and was awarded the Nobel Prize for Economics in 2007. Q. What aspect of being an editor do you find most rewarding? A. Shepherding good work into print. The job of the editor is to identify good work, see that it gets published and occasionally make some suggestions for improvement. Q. Can you describe how it feels when you come across a groundbreaking paper? A. That’s what every editor is hoping for, to publish something truly groundbreaking. Of course, such papers come along only rarely. But it’s a great feeling when it happens. Q. What advice would you give to a new editor? A. Pick your team well. You shouldn’t think that you can do everything yourself, particularly if you’re editing a general interest journal like Economic Letters, which covers a broad spectrum of areas. Make sure that the editors on your team are people you trust and who have good judgment. The same is true for the referees you pick. Q. How do you balance your role as editor with your other roles? A. There’s a certain amount of editorial work that has to get done every week, so I set aside specific time to do this. But a lot of journal work, unlike research, can be picked up and put down when I have a spare minute. It doesn’t require the same type of sustained effort that research does. Q. Why did you choose Economics as your field of study? A. When I was a kid, what I wanted to be when I grew up kept changing all the time. Sometimes I wanted to be a lawyer like Perry Mason, sometimes a scientist, sometimes a musician. I got into economics almost by accident: as a math major in college, I wandered into an "information economics" course taught by Kenneth Arrow, one of the founders of modern economics. I got hooked immediately by the material in the course. Q. Tell me about collaboration. What is the secret to success? A. Collaboration for me has always been a pleasure. It's always useful and fun to be able to talk over a research topic with someone who's just as interested in it as you are. Your co-author is likely to have lots of good ideas that never occurred to you. And it’s nice to be able to share the burden of actually writing the paper. Q. What is your biggest achievement? A. Well, I recently received the Nobel Prize, but it was the work for which the prize was awarded, not the prize itself, that was the real achievement. The work was in Mechanism Design theory. I should emphasize that the development of this theory has been very much a community effort. The Nobel committee is restricted to naming no more than three prize winners. But in this case, there were many other people who could have been recognized besides the actual winners. I’m hoping that mechanism design can help us solve some of the major economic and social problems of the day. It gives you a set of tools for designing mechanisms or institutions for achieving specified social goals. So, for example, if your goal is to have cleaner air, mechanism design will indicate how that can be accomplished in a way that imposes the least economic burden on your community. A. Einstein once wrote that: “Things should be made as simple as possible, but not simpler.” The goal of simplify without over-simplify is something we can all strive for. A. It would have to be my teacher, Kenneth Arrow. He’s one of the great economists, and I was very lucky to be his student. A lot of my research, particularly that in welfare economics, was inspired by his classic work. He is also a great role model as a person. He’s a very honest, modest, and patient man. He spends a lot of time with students, is very open-minded, and avoids dogmatic views on anything. I’ve tried to live up to his example. Q. What is the biggest lesson you've learned in your career? A. Not to worry too much about whether other people will find what I'm doing interesting. Chances are, if I'm interested in it, then somebody else will be too. A. I’d like to be remembered for two things. First, my students – I’ve been lucky enough to have some remarkable students over the years – I’d like to think that I helped get them started. And second, I hope that some of my papers will continue to be read and used. Q. What gets you up in the morning? A. What is better than getting up to spend a day thinking about a question that really fascinates you? Of course, such a question also keeps you awake at night: it's hard to stop thinking about it. A. I’m very serious about music. That’s my primary non-academic activity, both as an active player and as a listener. I play the clarinet and piano and I particularly like chamber music. If I had to pick a single favorite piece it might be Schubert’s B-flat piano sonata – I can’t imagine more beautiful music than that.